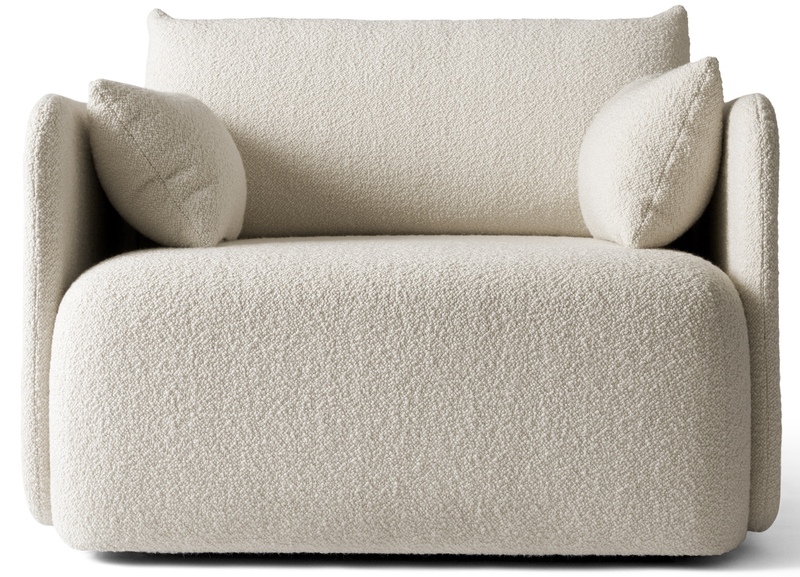 Materials PU foam, fabric or leather upholstery, cushions 70% feathers, 30% foam granulate. Need some help? Please write to us! The Offset series was designed by Norm Architects with the main idea of using paradoxes: to create a sofa with a robust and yet delicate, architectural but comfortable and cosy appearance. The fine armrests are combined with a generous and thick seat, and 4 stubby metal legs. The all is softened by clean lines and an optimal comfort. 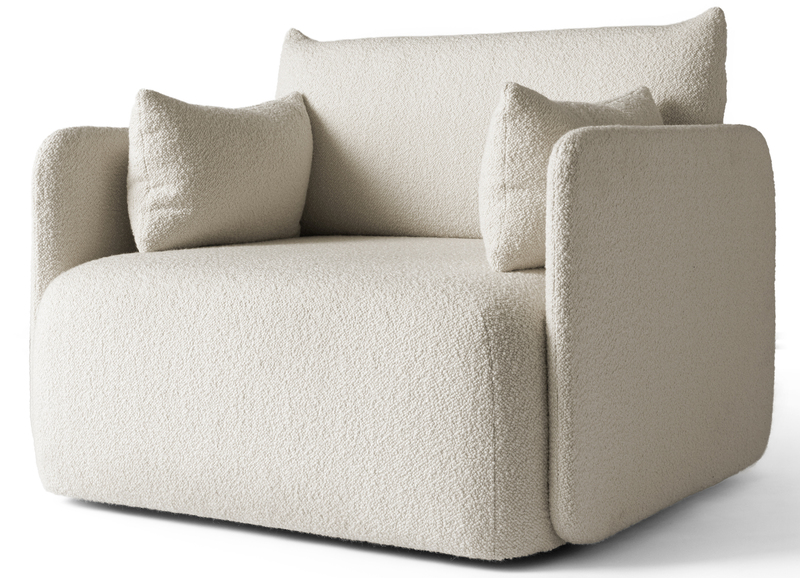 The Offset collection offers an armchair, a 2-seater and a 3-seater sofas, in a contemporary, discret and yet bold style.